David Macaulay Studio, 9781626721784, 48pp. 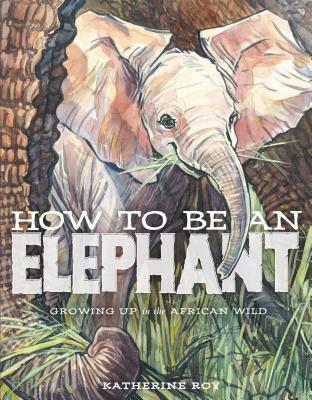 Katherine Roy is the award-winning author and illustrator of Neighborhood Sharks: Hunting with the Great Whites of California's Farallon Islands and How to Be an Elephant: Growing Up in the African Wild. She is also the illustrator for the Expeditioners series by S. S. Taylor and of Buried Beneath Us by Anthony Aveni. She loves science, history, and big adventures, and is endlessly fascinated by the way things live. A native of the San Francisco Bay Area, she currently lives in with her husband and young son in Oregon, where she's still learning how to be a human. You can visit her website to learn more about her work, her research, and African elephants.